A full guidelines to introduce and customize Pricing Table for goods and services at Drupal website. Implementation of the manual doesn’t need expertise in web development and will take only 3 minutes. 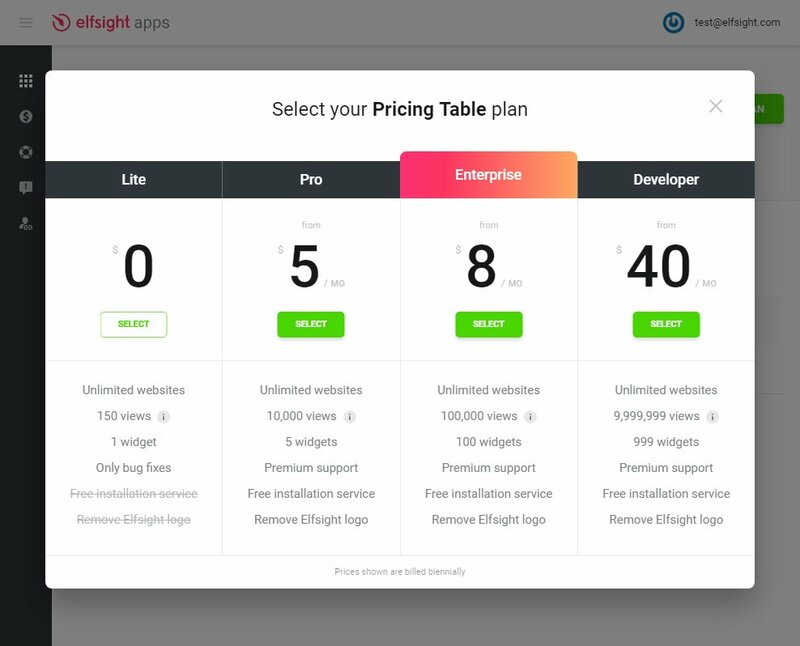 Imagine hallmarks and tariffs for the products or service to find more customers today with unique Drupal Pricing Table by Elfsight. 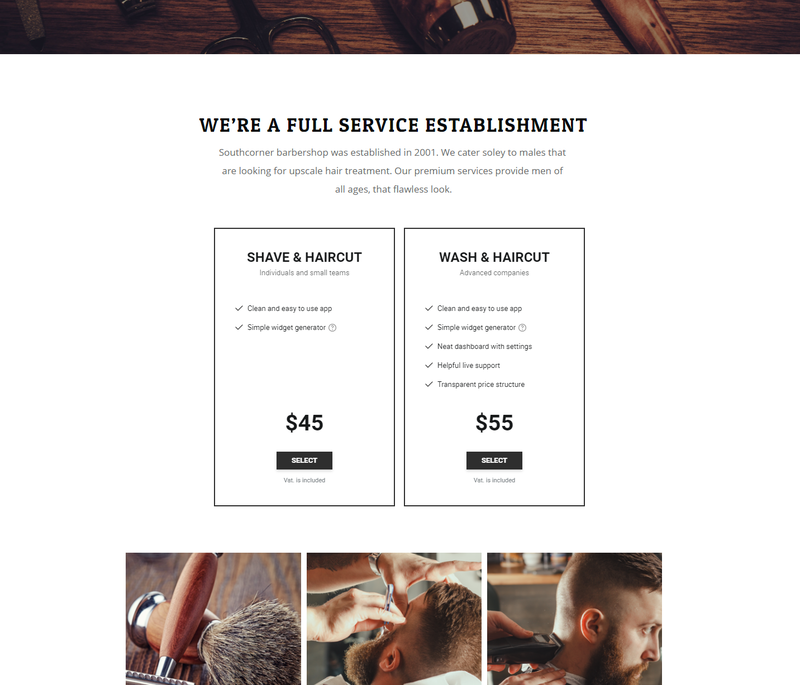 Apply our layouts or adjust each component yourself, our widget will perfectly suit the face of your page. Technical support for setting difficulties. Learn more about the module. 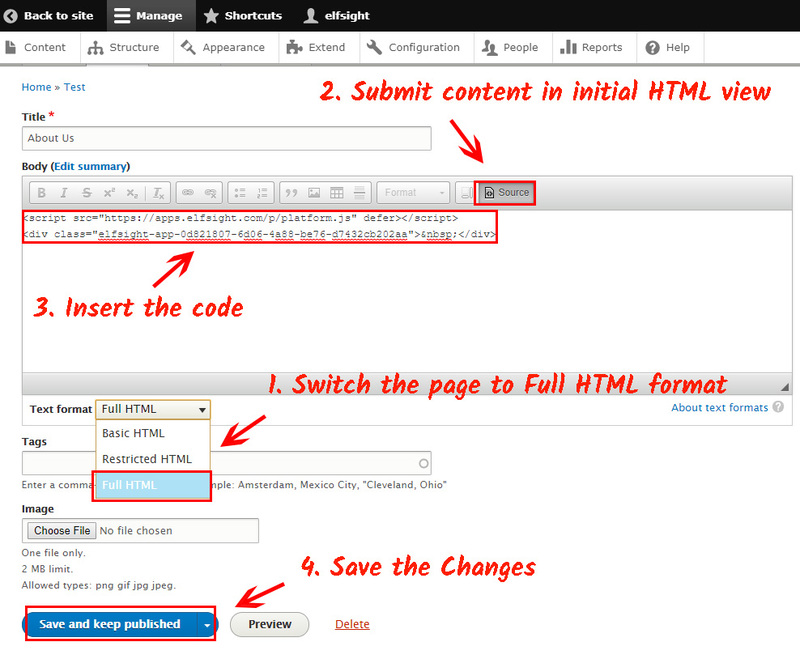 Follow the listed further steps to create the module for Drupal page. To set a module for your own site it is needed point-by-point to follow the following steps. If within the process you will come across problems, write to the Support Center. Type your email address and set a password. If you already have a working account, you can just log in. In the list below find Pricing Table and press it to pass to a detailed page. 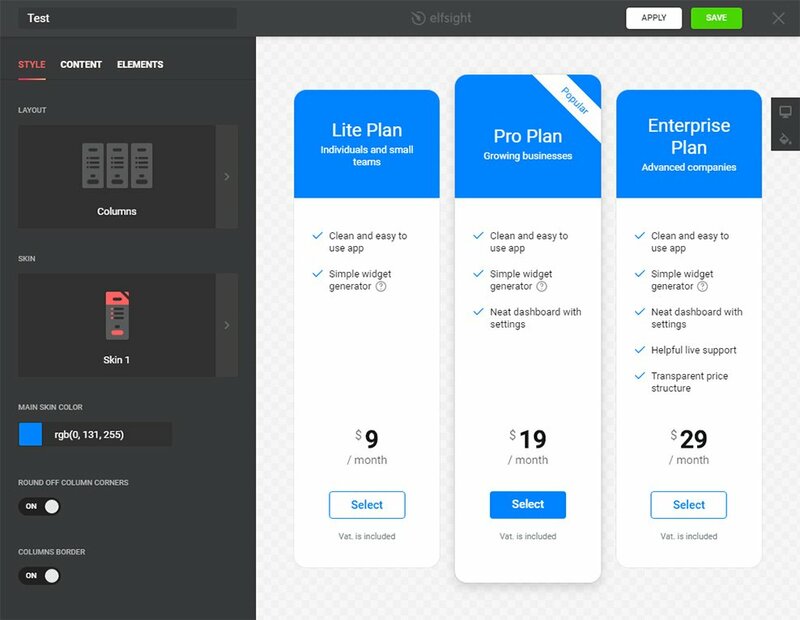 Select your layout or compile your plugin the way you need. A detailed description of all properties can be checked on the plugin website. Your requirements choose preferred variant from the proposed. We offer free offers, as well as premium subscription. Finalize the first stage by copying the plugin that you would like to place on your page. 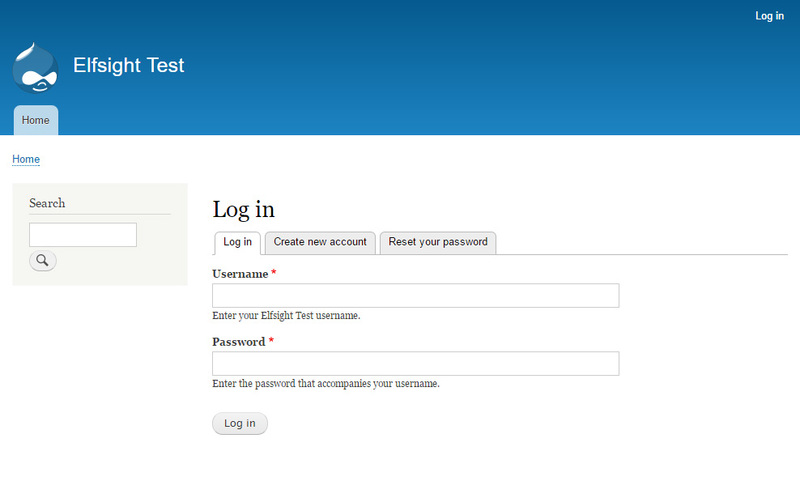 Go to admin dashboard at Drupal. 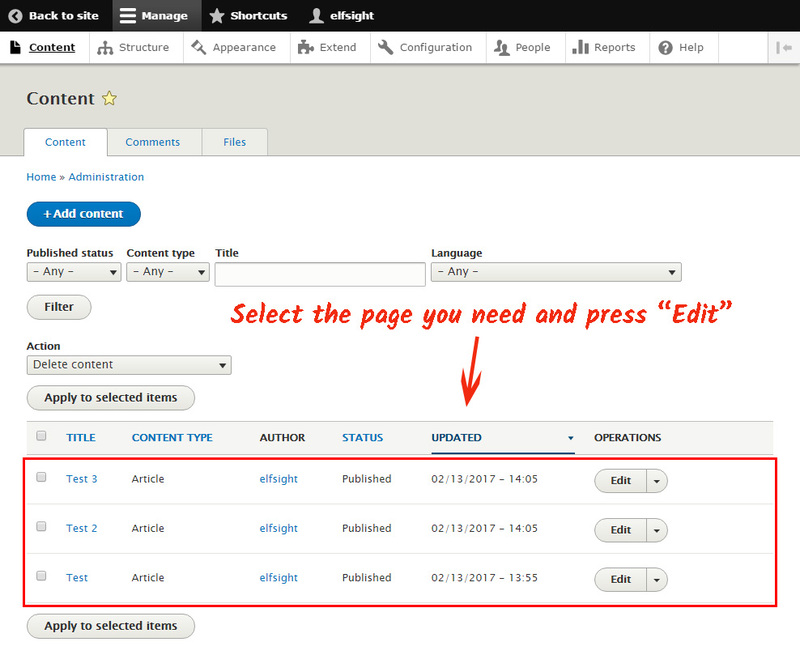 Choose the page where to place the plugin to and press «Edit». Switch the page to «Full HTML» format and toggle the content to the initial state. Paste the plugin code and then save the results. How to alter the parameters of the module after setup? After adding the module to the website, all settings you can carry out on your personal profile at Elfsight Apps. Introduce corrections to the handy editor and save them, all alterations will be introduced automatically and do not require changes at your Drupal page. This is a cloud site for enhancement your own site using widgets. Integrate new solutions or unite your resource with social networks to raise the number of subscribers and sales. Implement your module with an original design for your own site.